QALO Stackable sets are a great, fashion forward, functional alternative to your traditional wedding ring. Stackable QALO rings give you the opportunity to mix and match within the set to make it YOU! 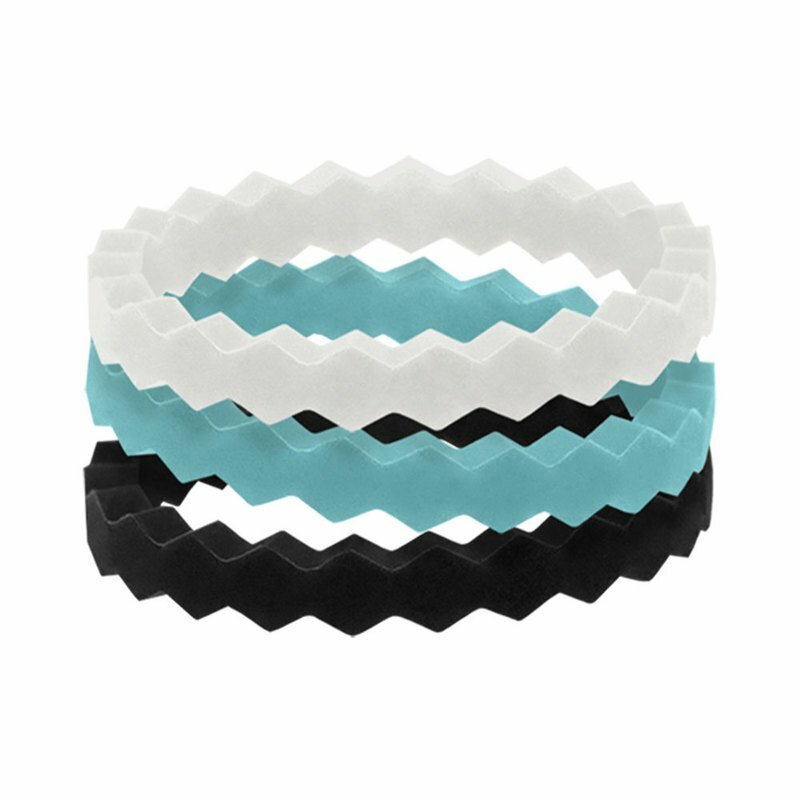 This set is comprised of “White Quartz Chevron, Aquamarine Chevron and Jet Black Chevron” silicone rings.